If the video that you have made contains a wonderful message and has the potential to go viral, then Twitter is ready to help you, in that case, by letting you add subtitles to it. The affirmed feature aims to make the audience watch and understand a variety of content that previously was not possible due to language barriers on the platform. 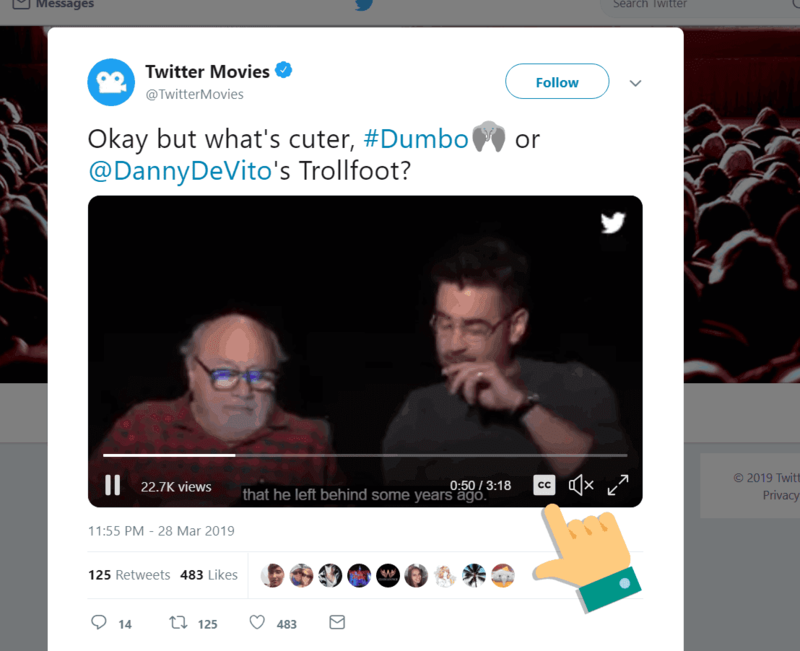 In a blog post by group product manager Matt Dennebaum, Twitter announced that video publishers will now be able to include .SRT subtitles that can be viewed via the web, iOS and Android. However, it will also continue to support their CEA-style captions, which can be turned on via the accessibility settings on their iOS and Android devices. "Subtitles provide context and clarity to video content. Publishers on Twitter have long advocated for the ability to provide this context to their audiences through the use of subtitles, particularly in sound-off scenarios. Videos in the Twitter timeline autoplay with the sound off, which is why we’re excited to announce the support of .SRT subtitle display on web, iOS, and Android. ", announced Twitter. While this feature was indeed long due, it is important to understand that subtitles are different from closed captions. In fact, Dennebaum gave a clear explanation himself, stating that on Twitter, subtitles are basically transcripts of the dialog or audio in a video. The .SRT files get attached to the videos through an API, Twitter Media Studio or Twitter Ads. So now, if users are watching any video that contains subtitles, they will continue to see them on iOS and Android devices even if the sound is turned off - when videos auto-play without sound on Twitter’s timeline. For people on the web, you will just have to click on the “cc” icon to enable captions for any video. Okay but what's cuter, #Dumbo or @DannyDeVito's Trollfoot? Publishers can add subtitles to their videos inside the Media Studio library. All you have to do is select the Subtitles tab in the pop-up window, choose the language of the desired subtitles in the drop-down menu, click “upload” and add an .SRT file from your device. And finally, click the pencil to update your file and enjoy.